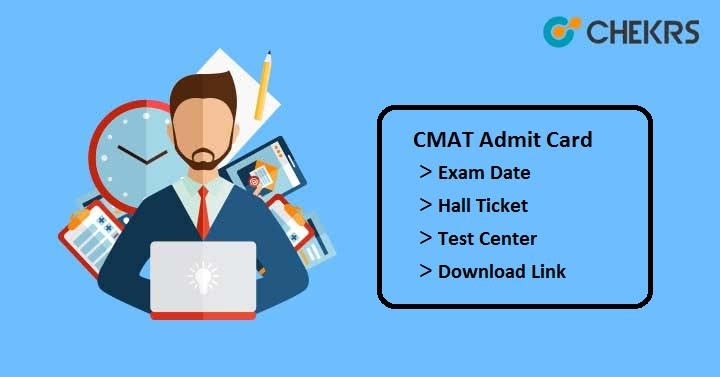 CMAT Admit Card 2019: Candidates looking for MBA admission through national level entrance exam can apply for CMAT. CMAT is going to be scheduled on 28th January 2019. The online registration will continue till November 30. After this, successfully registered can download the CMAT Admit Card issued by the NTA official authority. Here we have discussed the official announced examination date, how to access the admit card, instructions etc. Scroll down the page to check the complete information here only. The NTA authority has issued the CMAT 2019 Exam Date on its official site. With the help of specified directions, applicants will be able to download their admit card successfully. Search for the Download Admit Card download link on the home page. Enter the application no/ user id and password and security pin, and click on Sign In. The admit card will appear on your device screen. Download it and then take print of the CMAT Hall Ticket for future reference. Candidates must report at the examination center 30 minutes before the reporting time outlined on the admit card. Candidates without hard copy of admit card will be not allowed to sit in the examination room. You can also carry attested Caste certificate & photograph (SC/ ST candidates only) and marriage certificate if required. Check the detailed mentioned over the admit card. If in case of any discrepancies you should immediately contact to the official authority of NTA via email. NTA will not going to send you the hard copy of CMAT 2019 Hall Ticket at your address through any other mode. In case you have any query, write your message in the below comment box. We will reply you with the relevant answer. All the Best!! !